Plenty of cafes and food shops require menu boards and here at Perth Graphics Centre we can help. 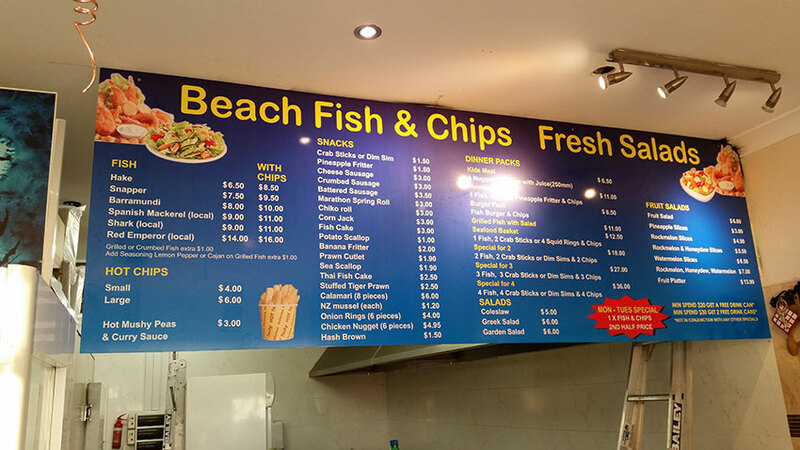 With our range of materials and finishes, we can either print a new menu board insert or we can print a whole new menu board entirely. Seen here is a brand new board, installed at Beach Fish and Chips in Rockingham. Our team of designers made the background nice and bright, while our installers were able to tackle this challenging roof-mounted installation. 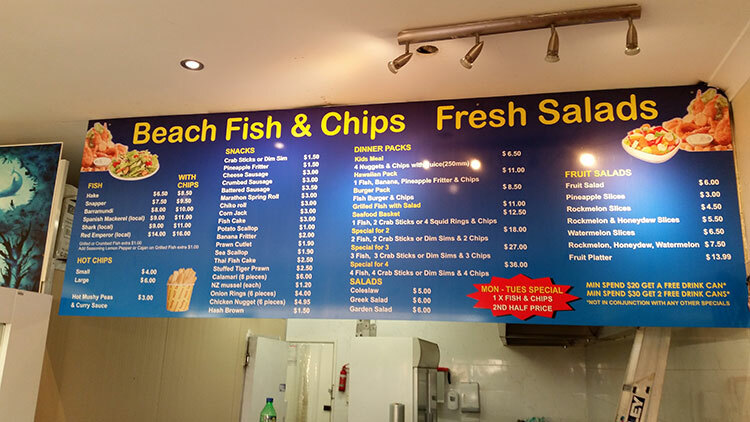 If you have a cafe, restaurant or a fish and chip shop, then we can help.